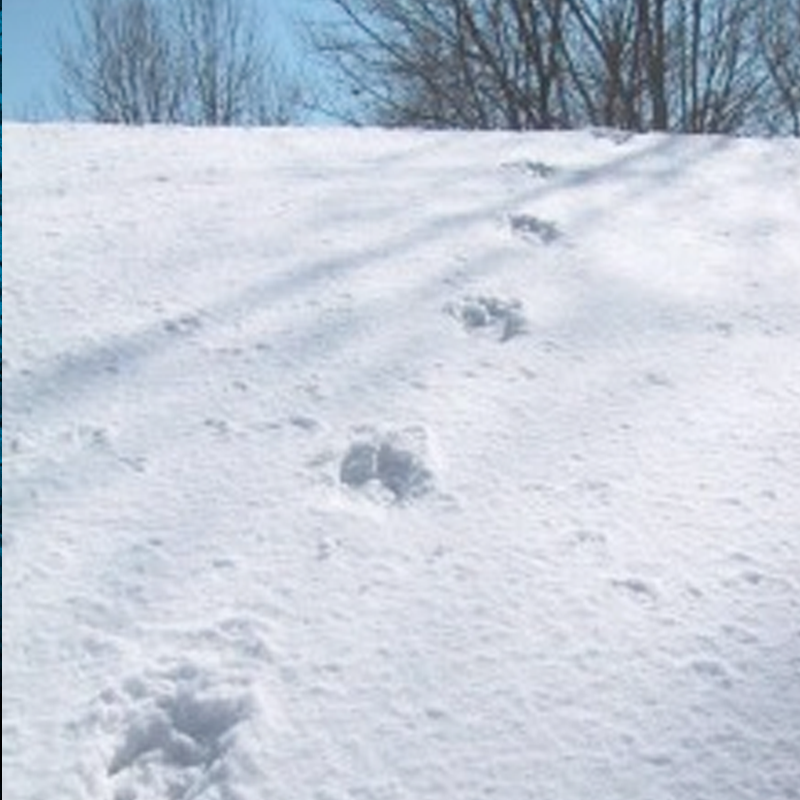 A photo of the footsteps found on the Winkelmans' roof. In January of 2004, Laurie Winkelman and her eleven-year-old son, Glenn Jr., were outside one evening turning off some Christmas lights, when they claim to have encountered the Jersey Devil. Laurie was bent over unplugging the lights when she noticed a stricken look on Glenn Jr.'s face. She followed his gaze and saw a large, black, winged creature perched in a tree above them. Immediately terrified, Laurie grabbed Glenn Jr. and fled towards their house as the monster swooped low over them and landed on the roof. They heard whatever it was clambering down the roof towards them as they hurriedly made their way inside. After spending a sleepless night indoors, the family went outside the next morning and found footsteps in the snow on the roof, exactly where the frightened duo had seen the thing land. The footprints were measured at 9” by 5” and spaced 4’ apart. Experts are divided on what the Winkelmans experienced that night, with some believing that Glenn Jr.’s description of the beast as having “large, round eyes” points to a great horned owl, while others think the footsteps on the roof belong to a deer. Some don’t buy either of those explanations, citing the fact that regional wildlife experts at the New Jersey Division of Parks and Recreation were unable to positively identify the tracks at the time. Police called to the scene were similarly baffled, although one officer estimated the size of the being that made the prints to be between 200 and 400 pounds. If the creature was not an owl or similar wildlife, then its true nature remains a mystery; in the face of such mystery, the Winkelmans know only that they encountered the Jersey Devil--whatever that may be.